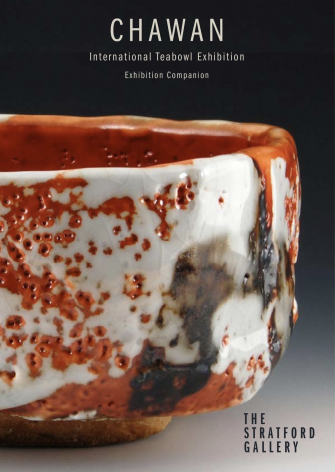 48 page full colour companion brochure to The Stratford Gallery's exhibition, detailing each exhibiting potter and their selected works. 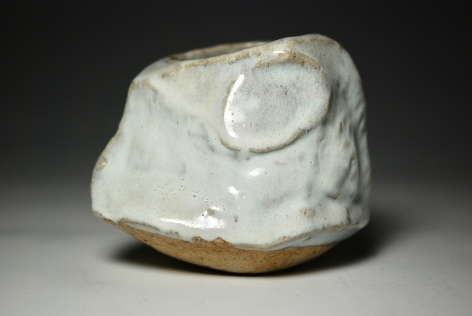 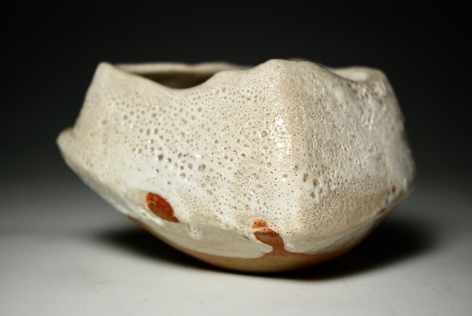 Hand carved and hollowed ( Kurinuki technique ) stoneware. 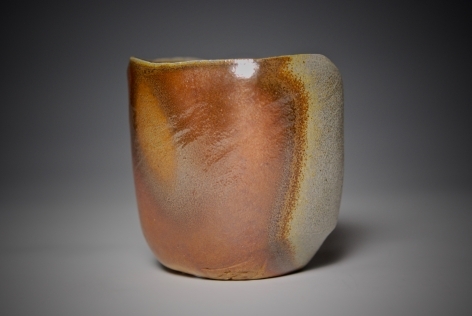 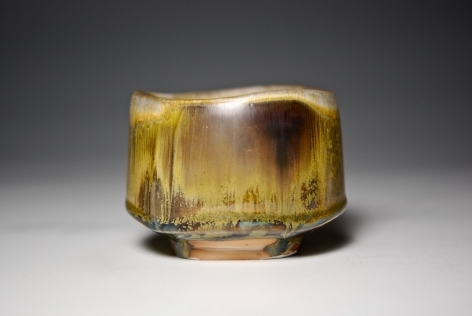 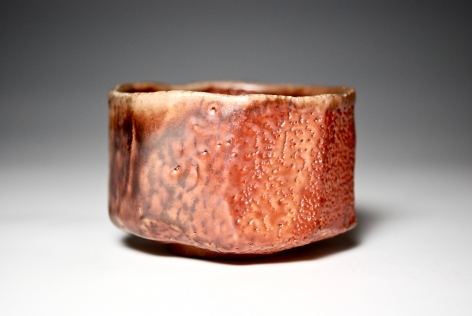 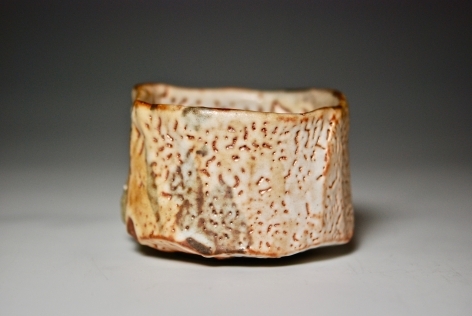 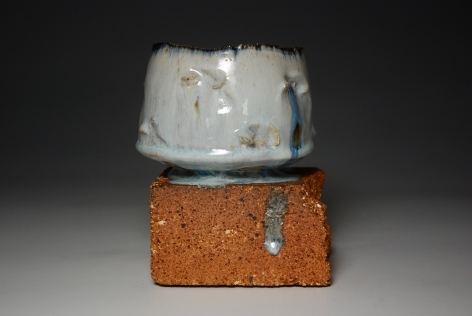 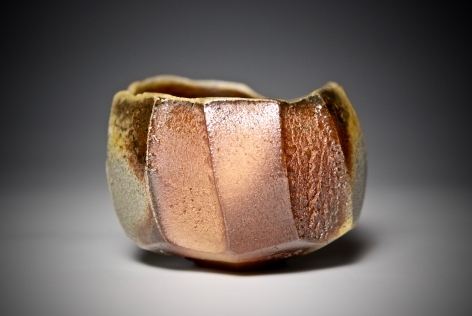 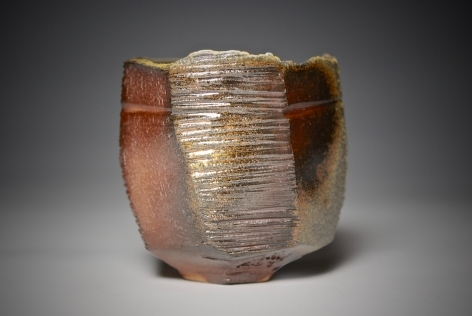 Natural ash glaze and anagama kiln fired for 5 days to cone 12. 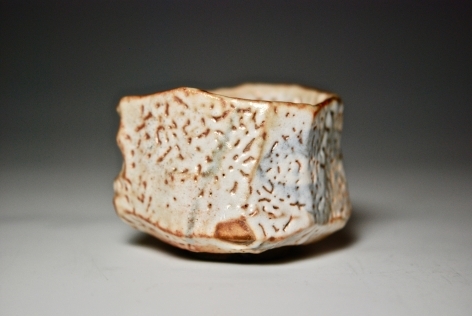 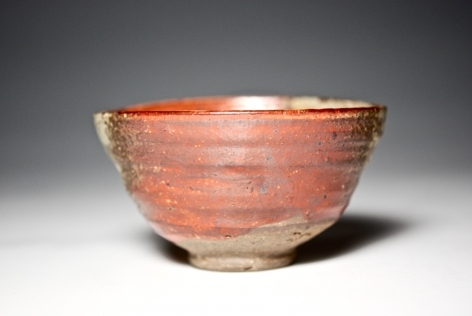 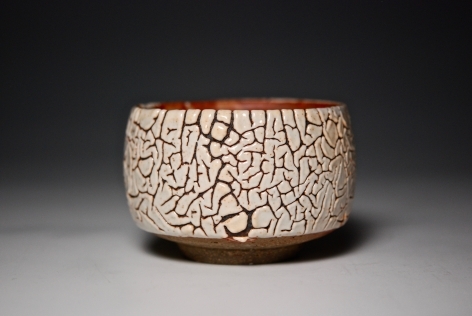 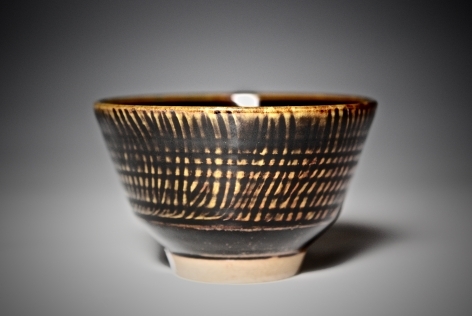 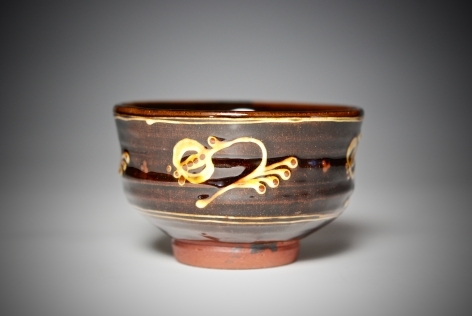 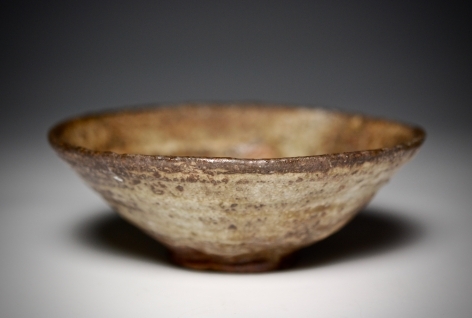 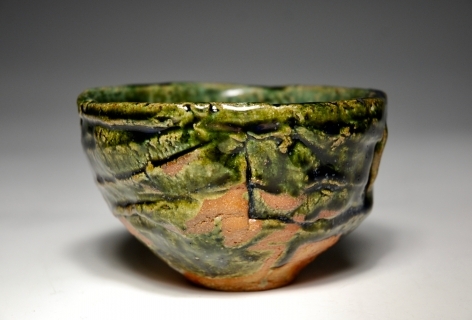 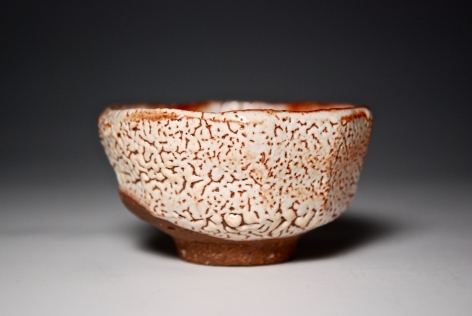 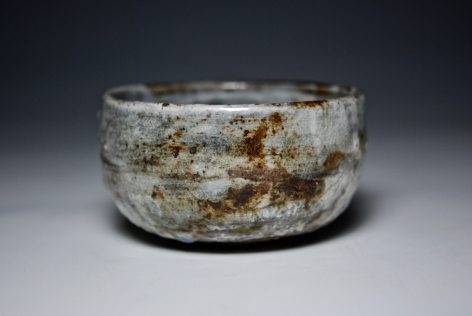 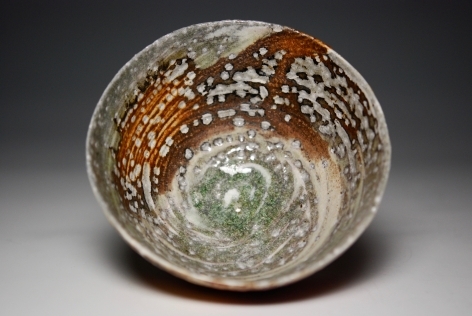 Hand carved and hollowed ( kurinuki technique ) stoneware clay, shino glaze, iron rich clay slip brushwork and natural ash glaze. 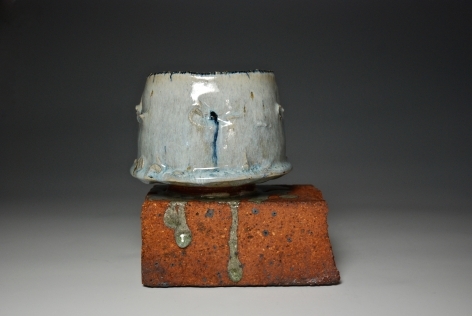 Wood fired in and anagram kiln for five days to cone 12. 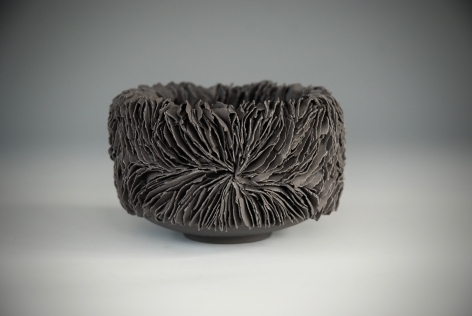 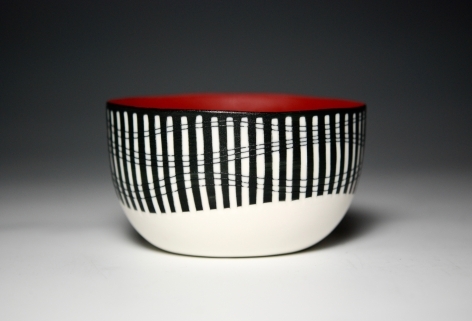 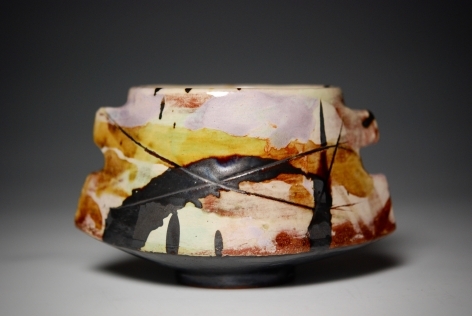 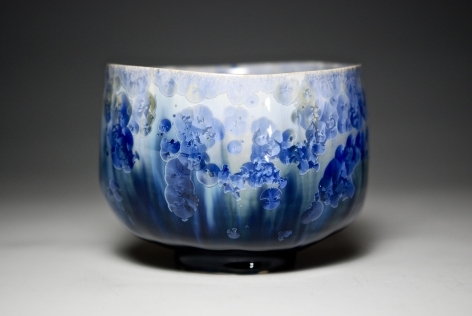 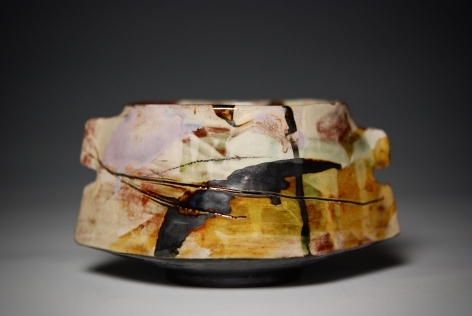 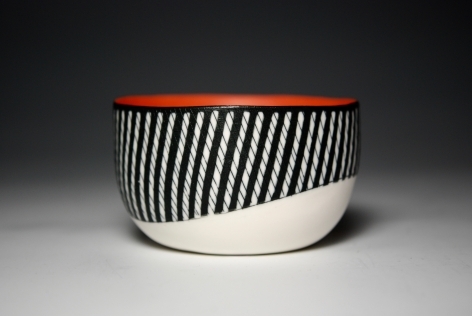 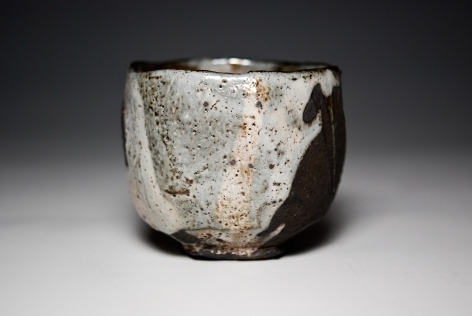 Best in Show 'Shino Splendour', district clay gallery, Washington DC, Juror Jo Hicks. 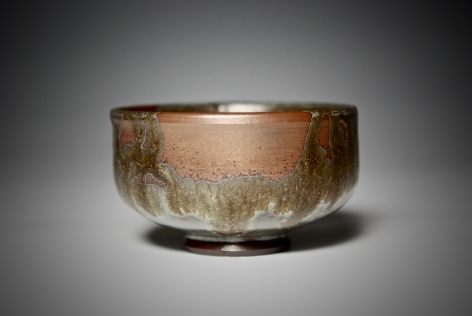 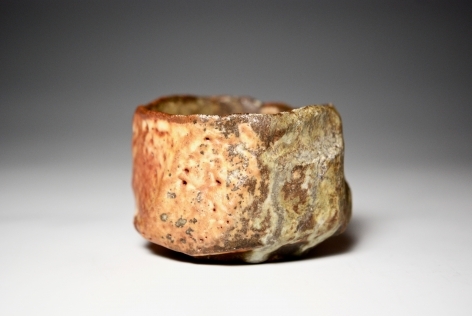 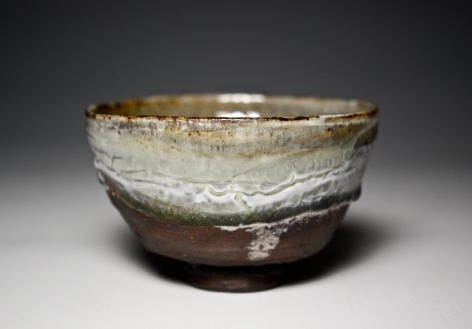 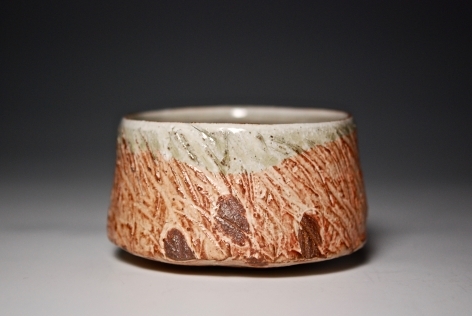 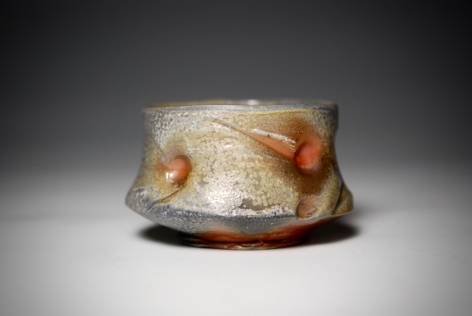 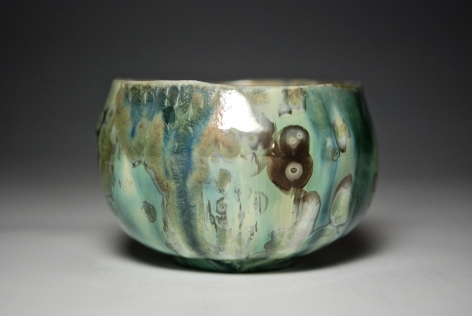 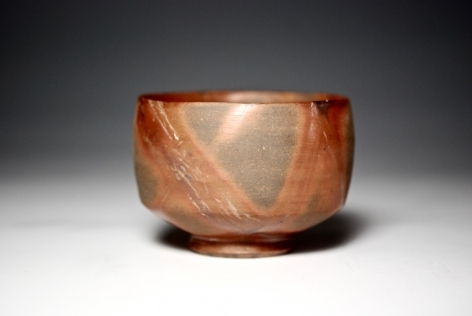 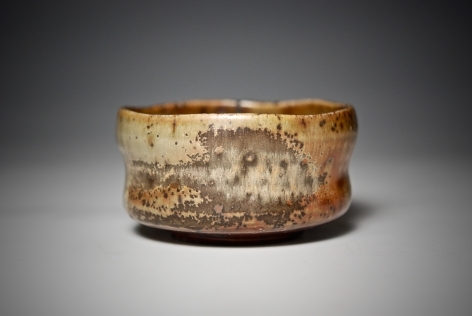 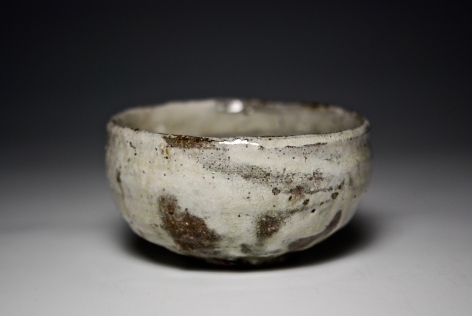 Hand carved and hollowed ( kurinuki technique ) stoneware clay, shino glaze, iron rich clay slip and natural ash glaze. 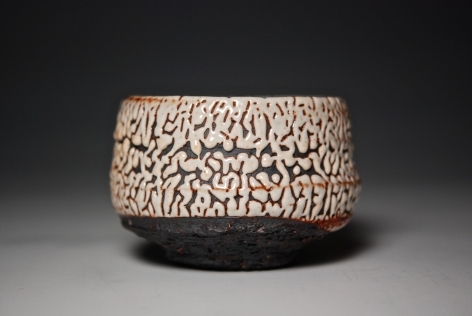 Wood fired in an anagama kiln for five days to cone 12. 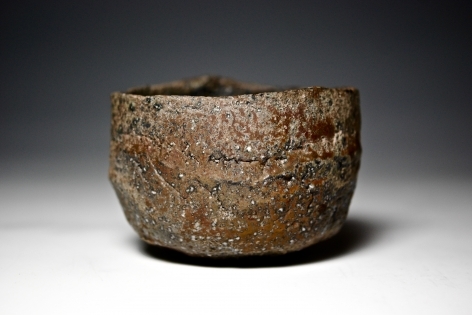 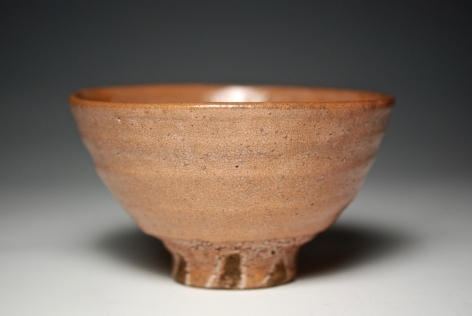 Hand carved and hollowed ( kurinuki technique ) stoneware clay, iron rich clay slip, shino and natural ash glaze. 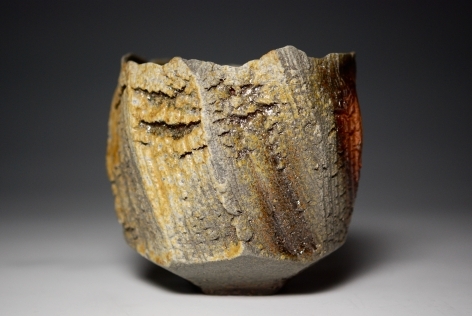 Wood Fired in an Anagama kiln multiple times for five days each firing to cone 12. 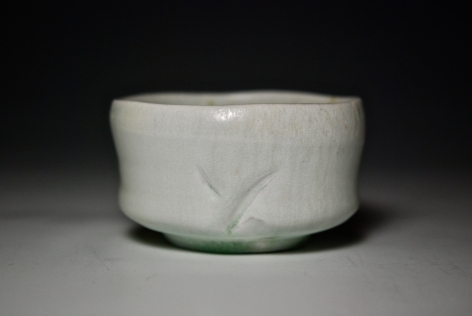 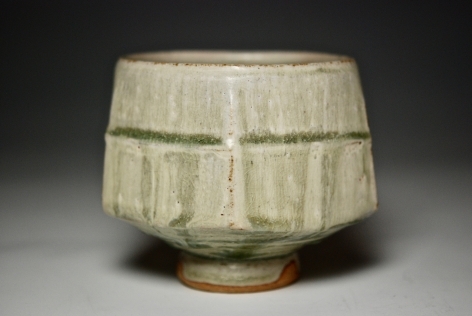 AO Chawan with Wooden Box and Cloth. 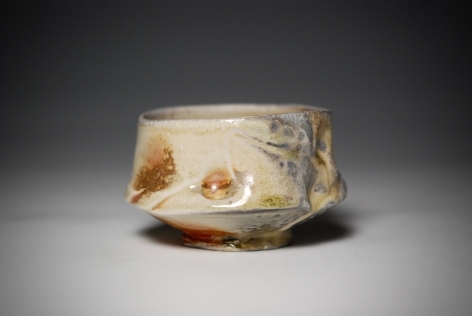 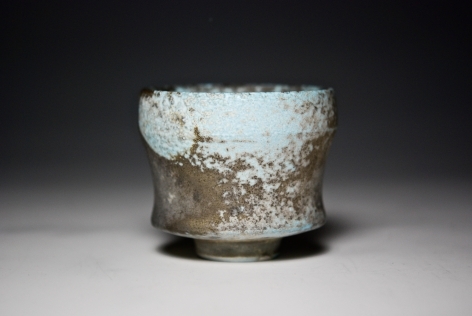 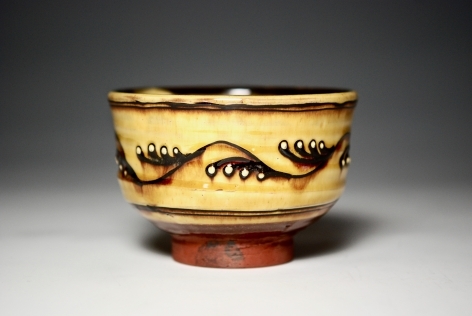 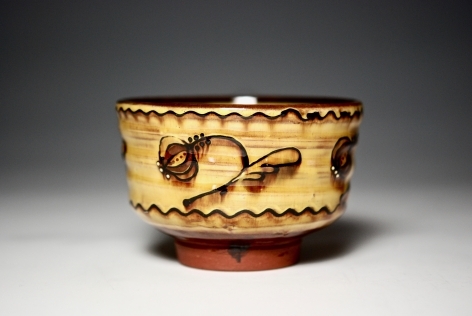 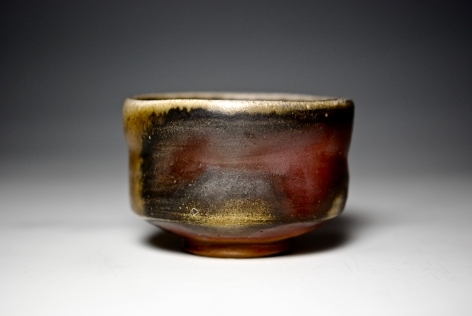 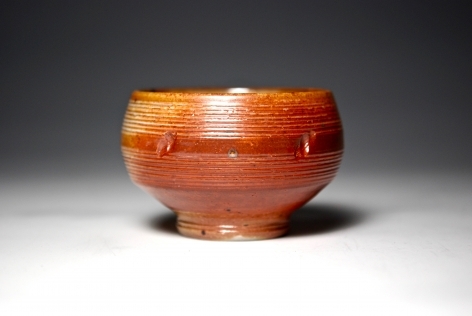 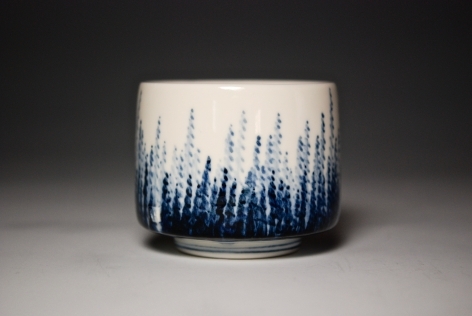 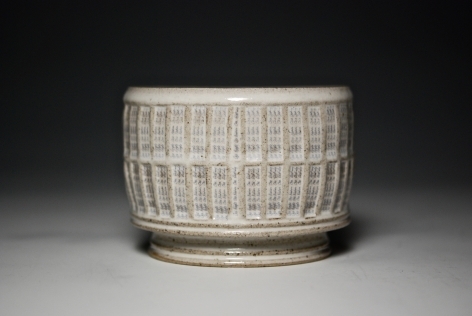 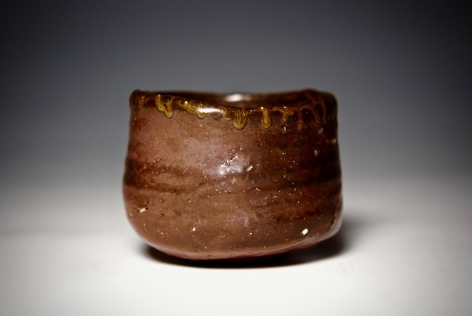 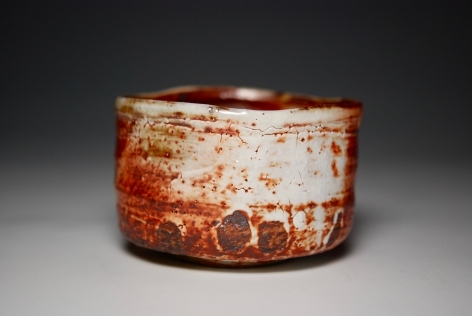 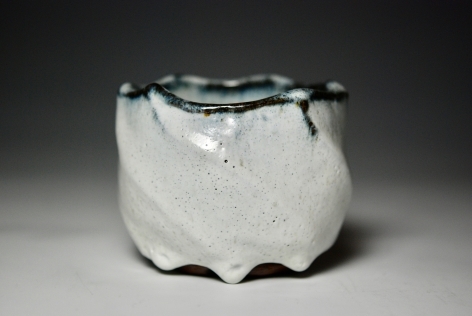 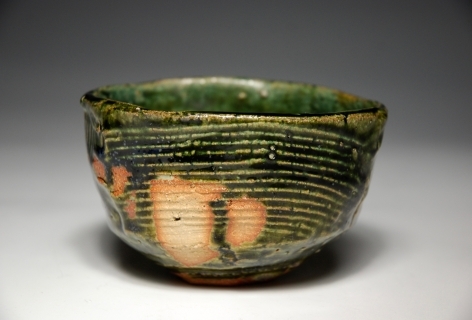 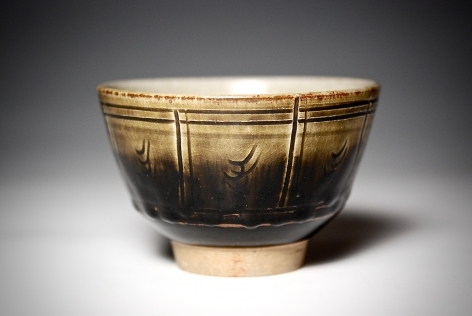 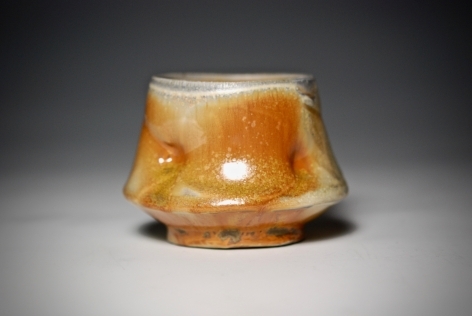 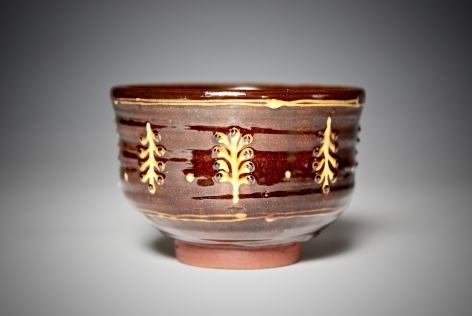 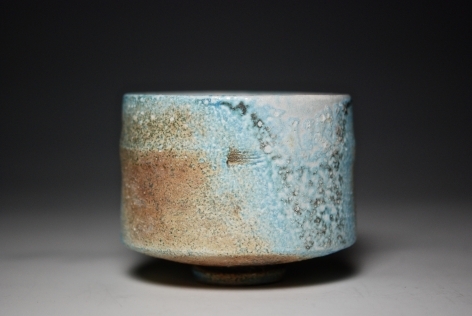 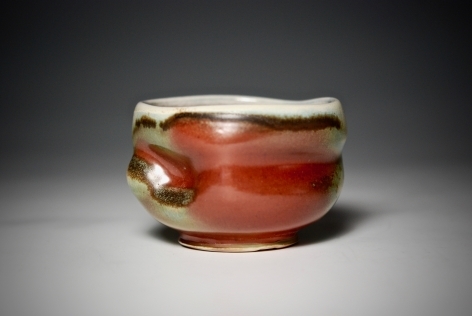 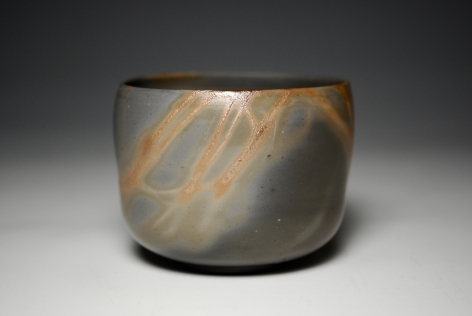 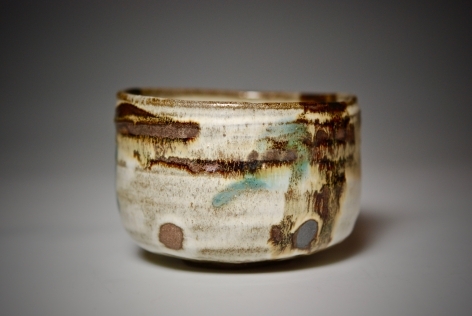 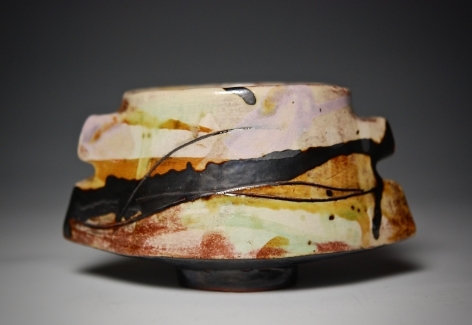 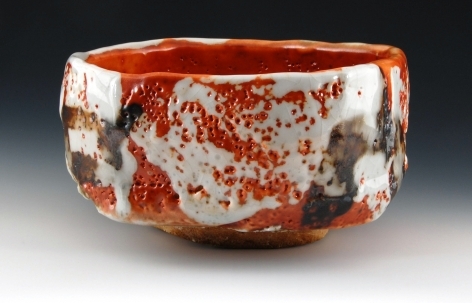 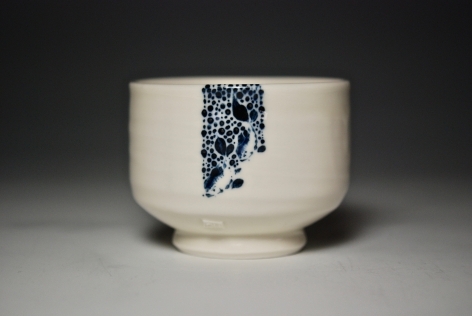 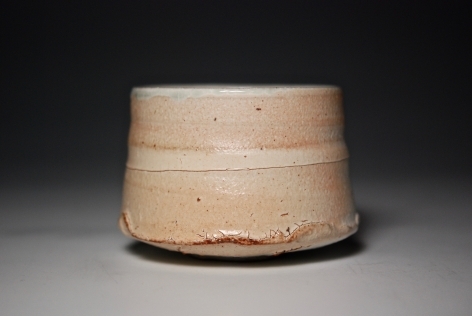 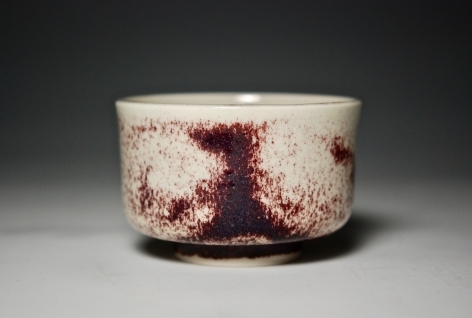 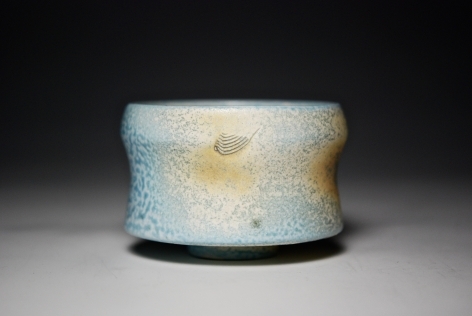 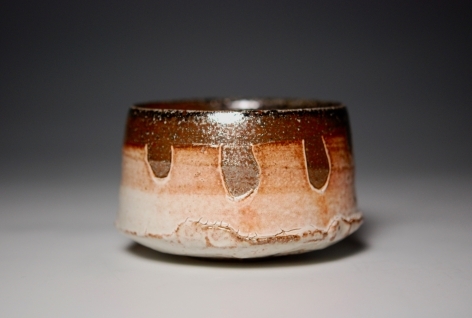 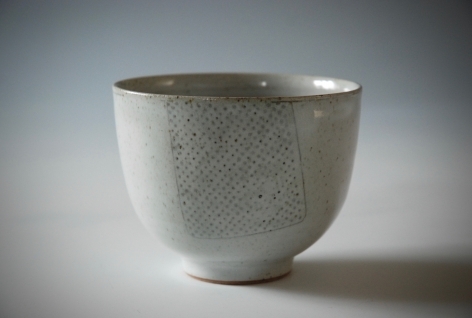 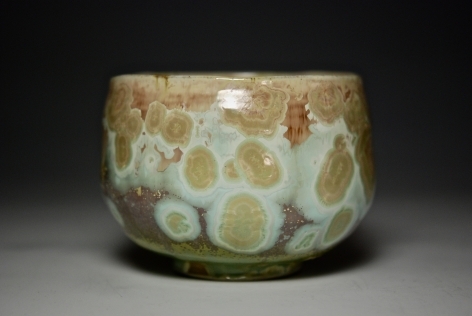 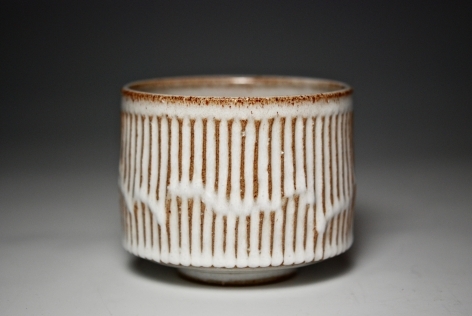 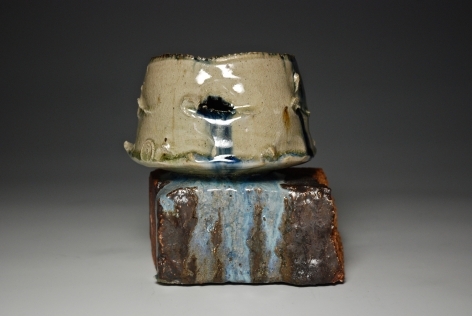 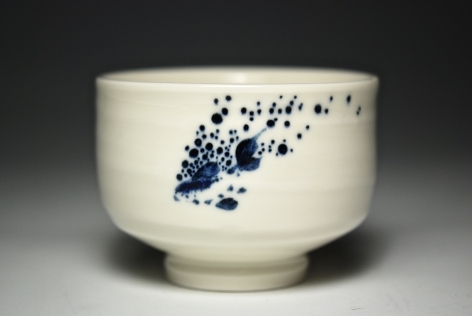 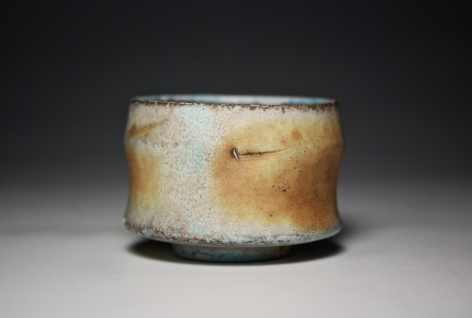 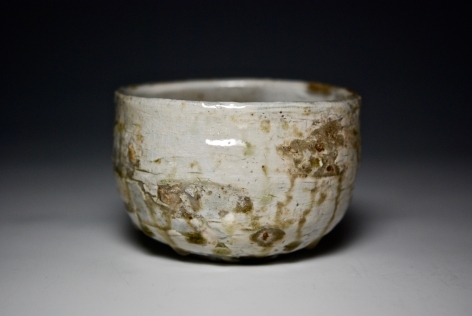 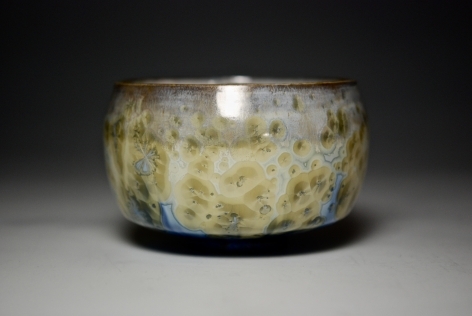 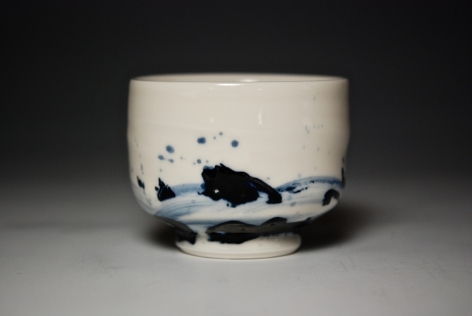 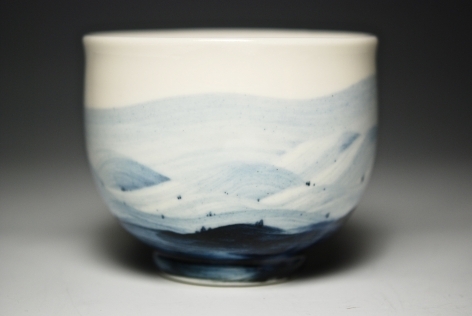 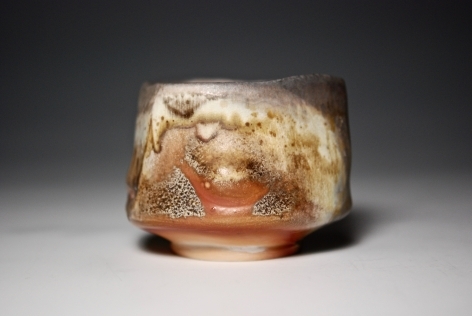 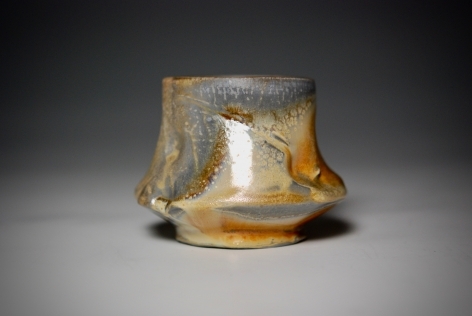 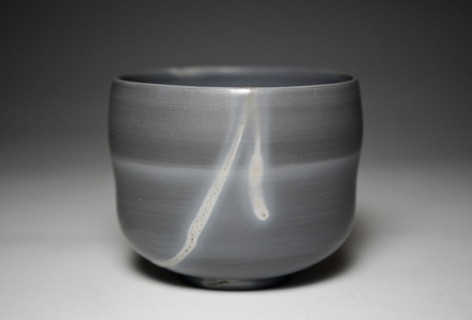 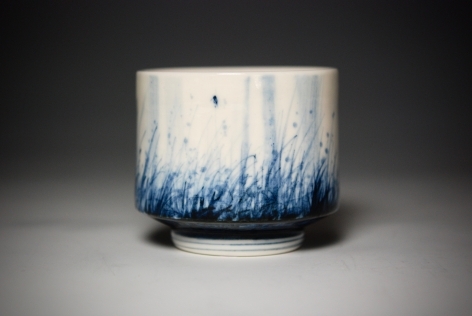 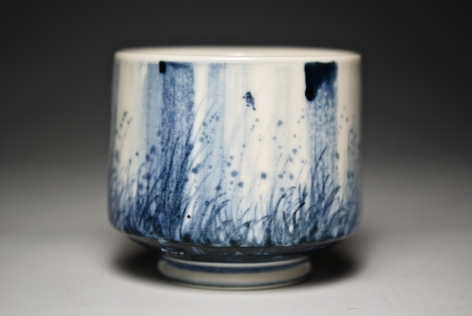 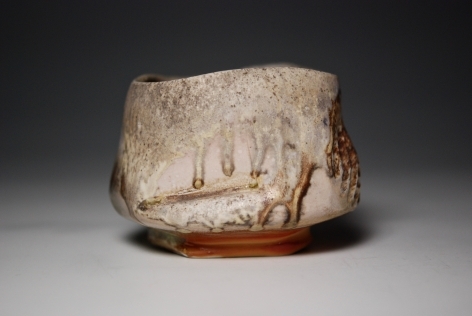 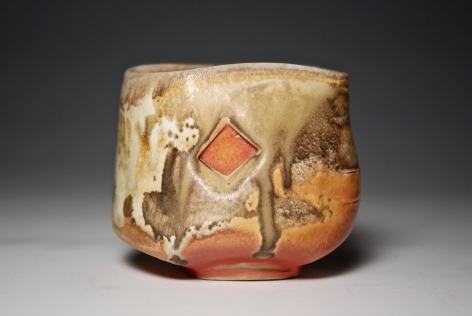 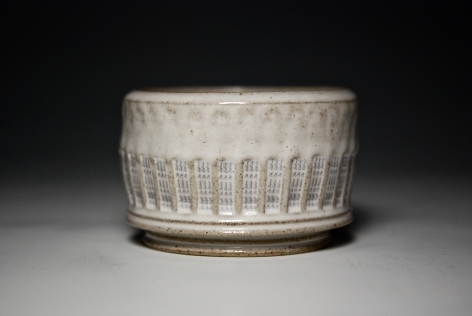 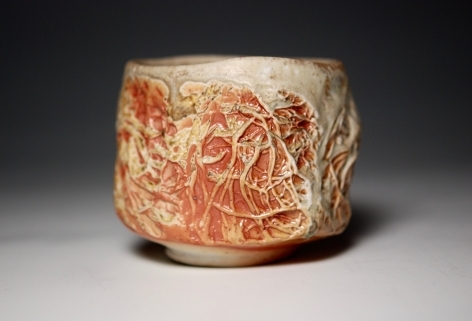 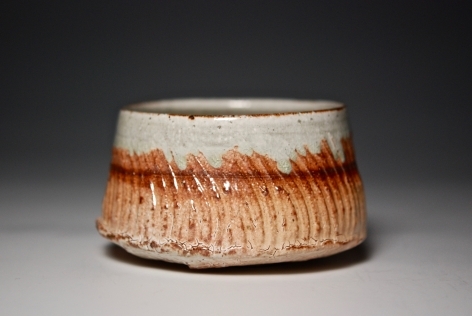 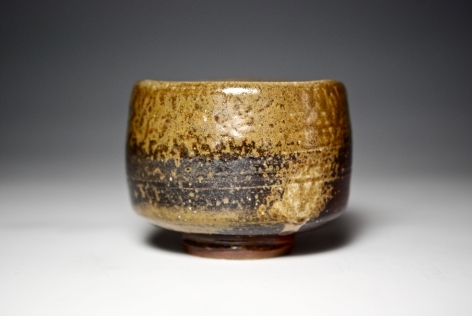 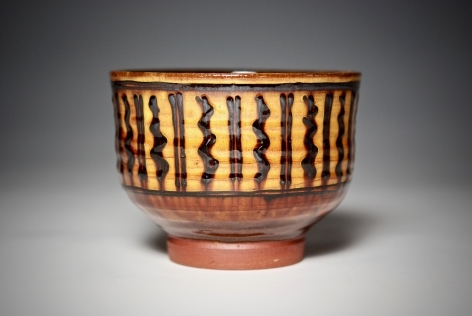 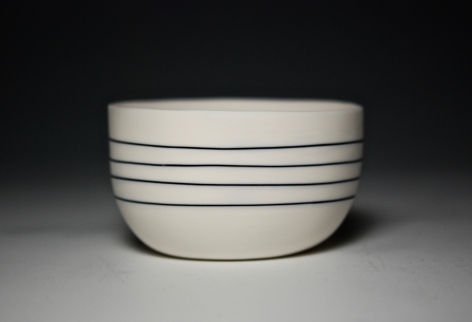 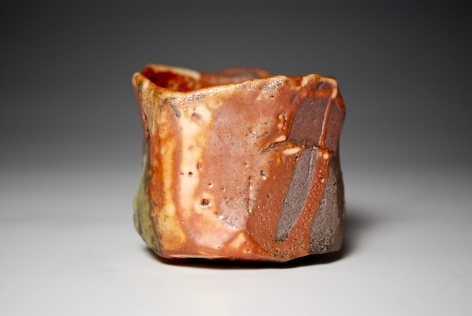 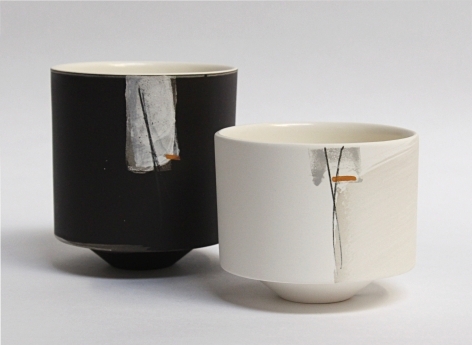 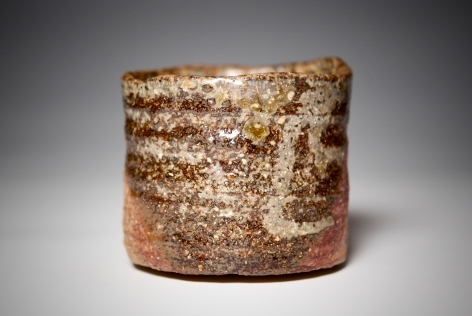 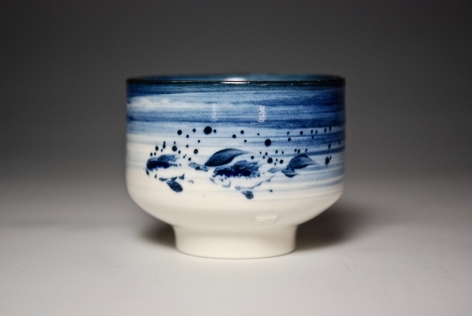 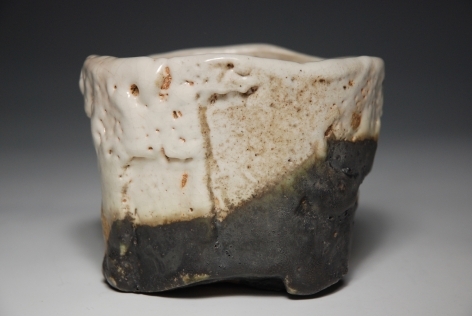 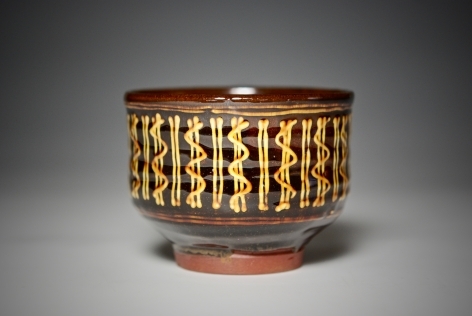 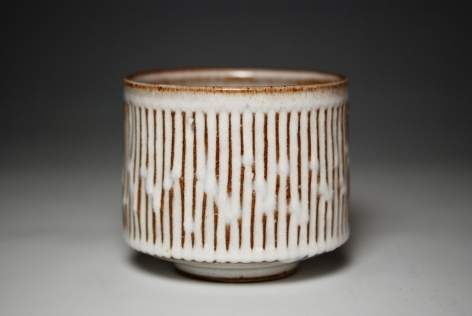 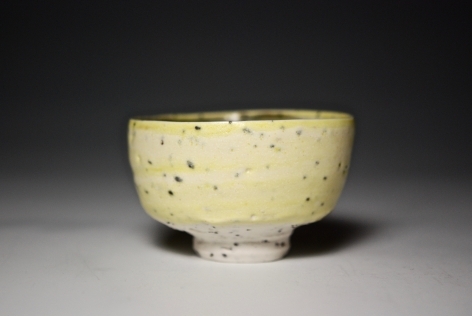 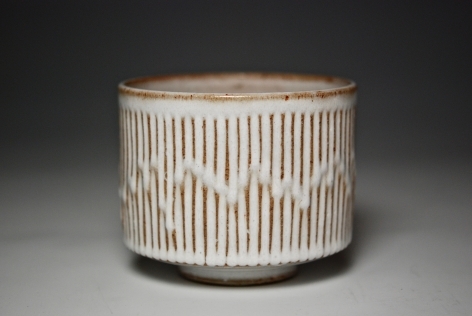 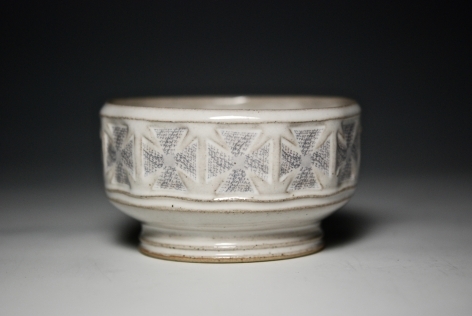 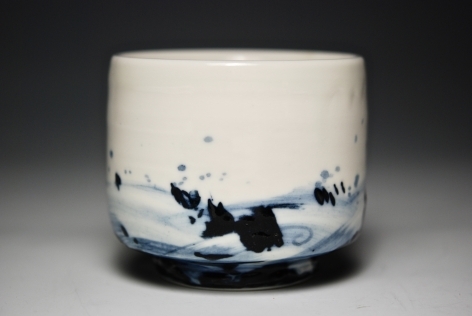 Hidasuki Chawan with wooden box and cloth. 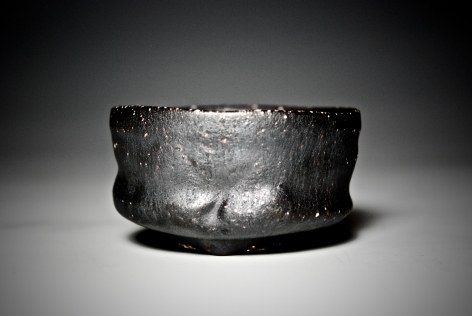 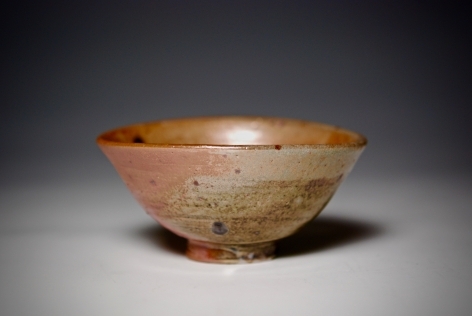 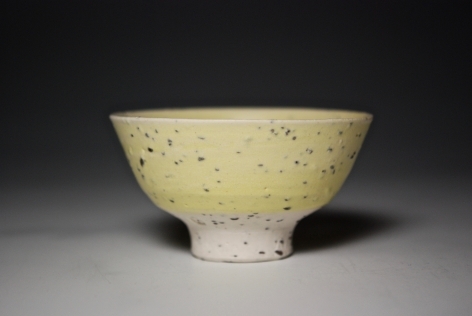 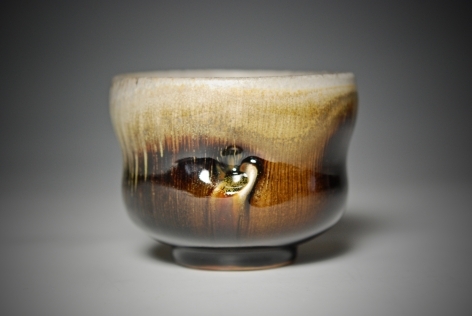 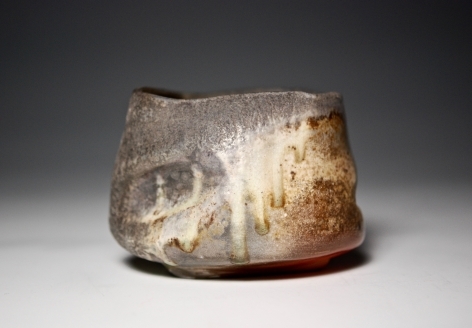 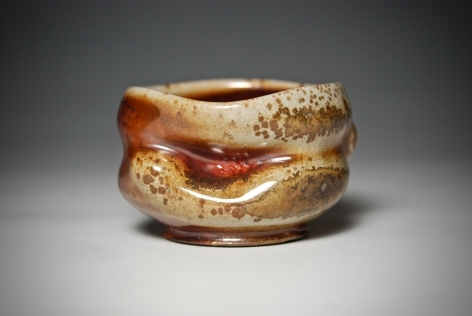 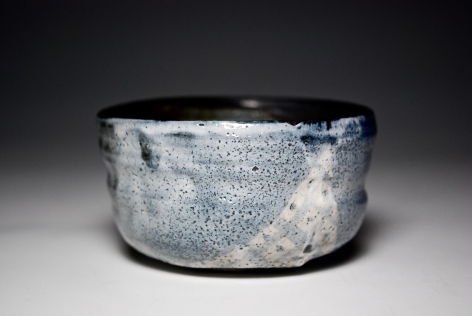 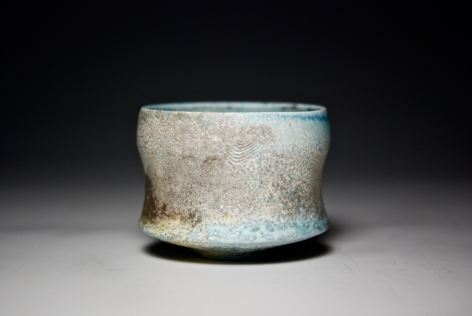 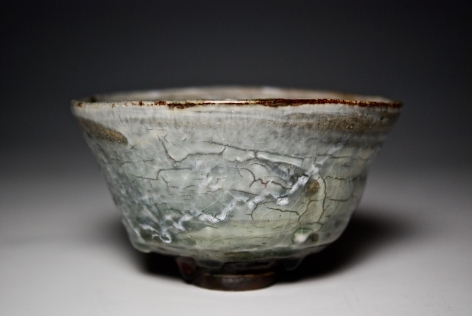 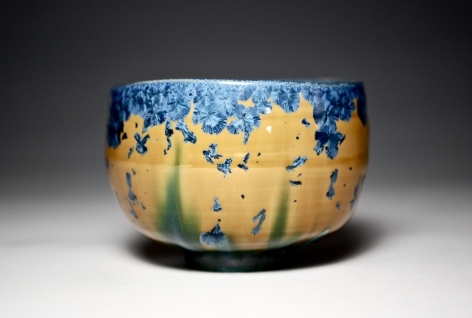 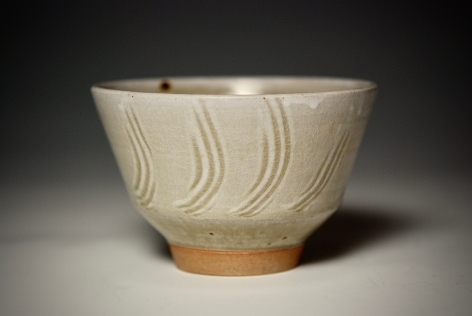 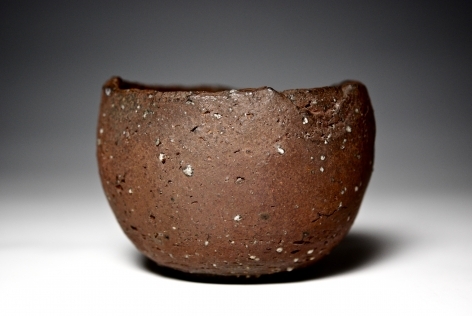 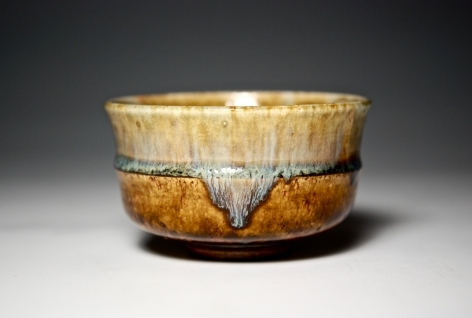 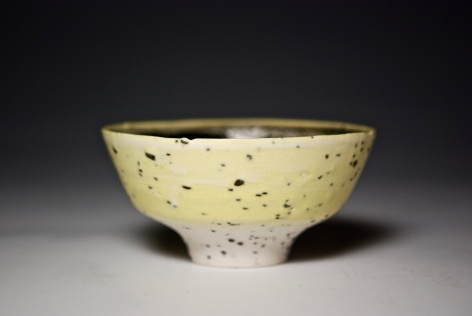 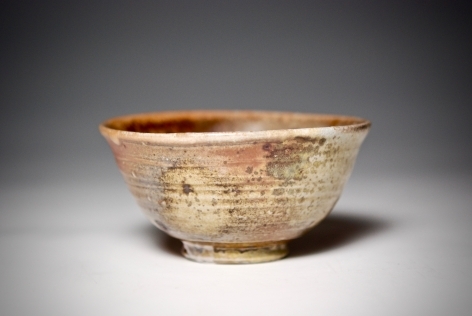 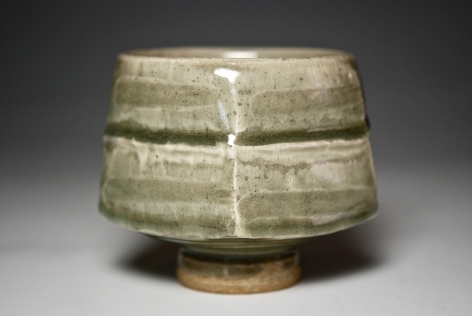 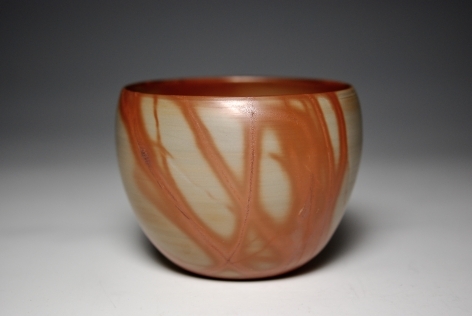 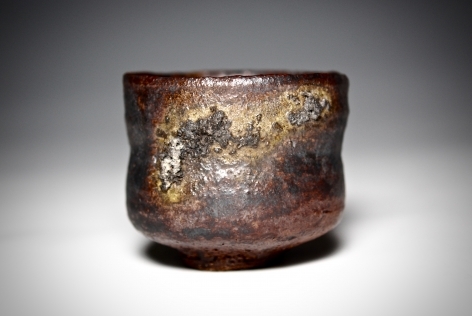 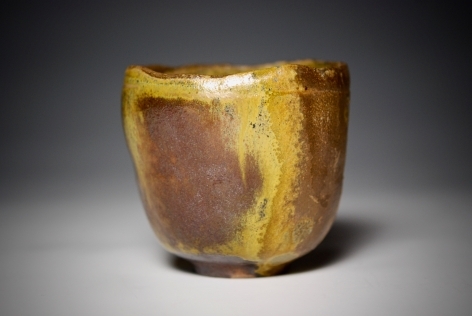 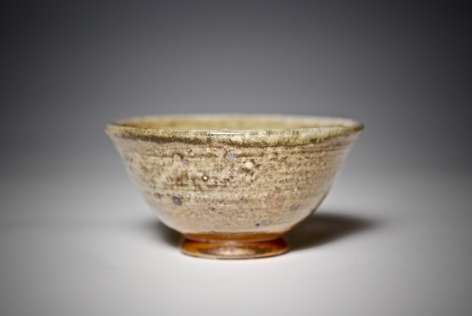 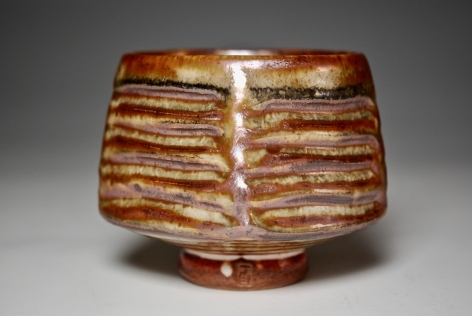 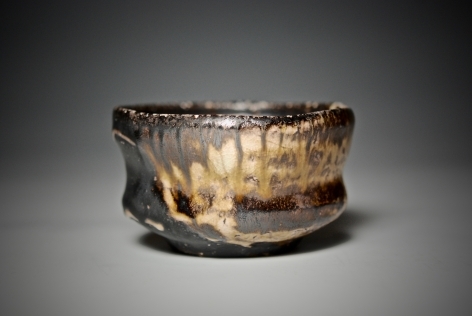 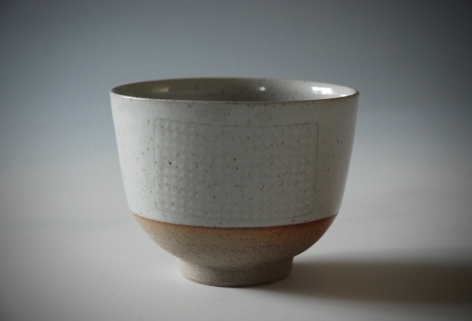 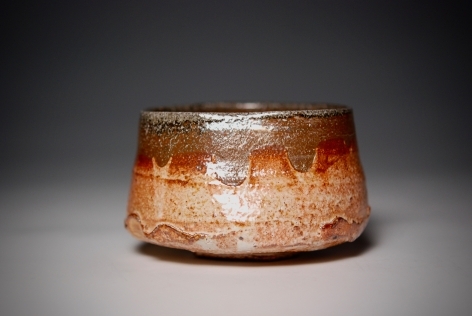 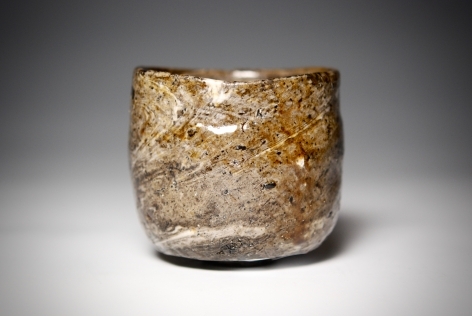 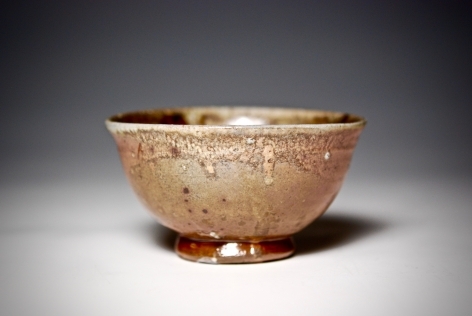 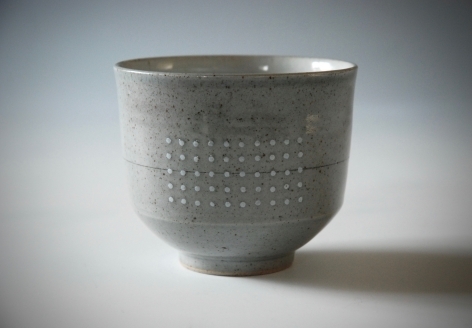 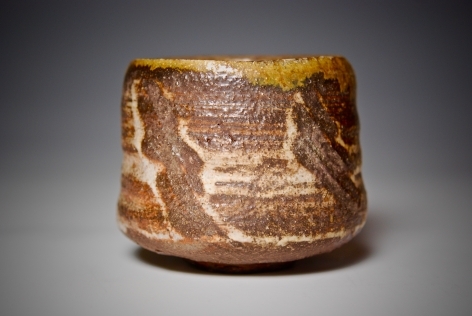 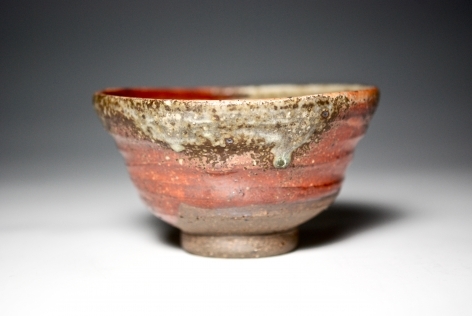 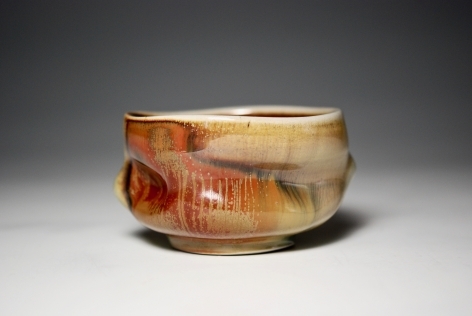 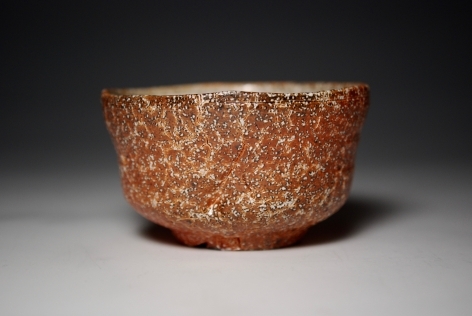 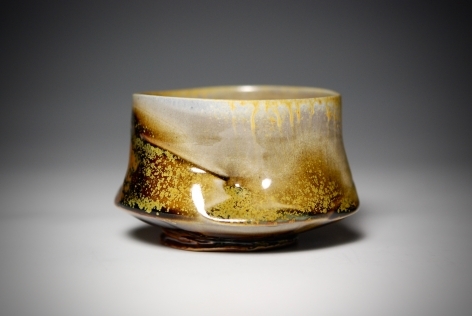 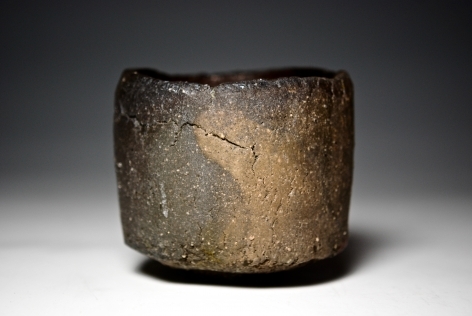 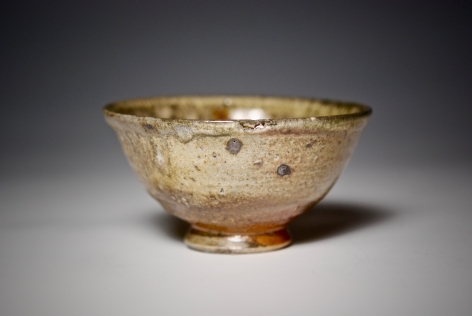 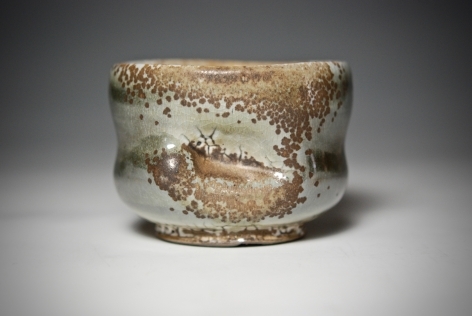 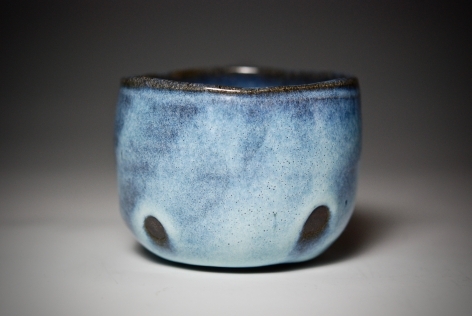 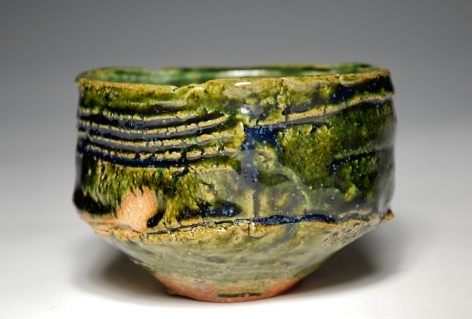 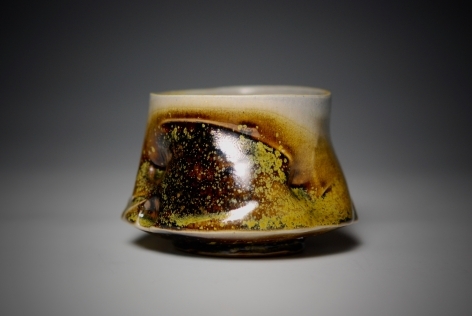 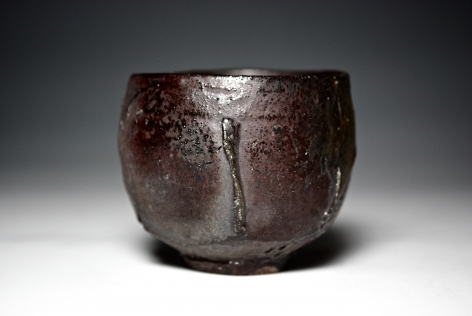 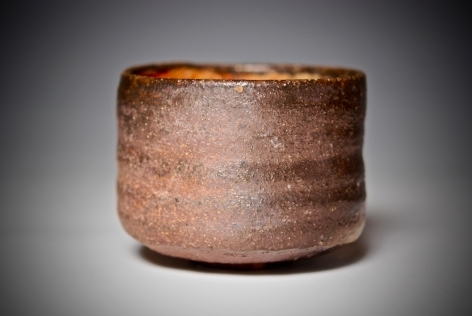 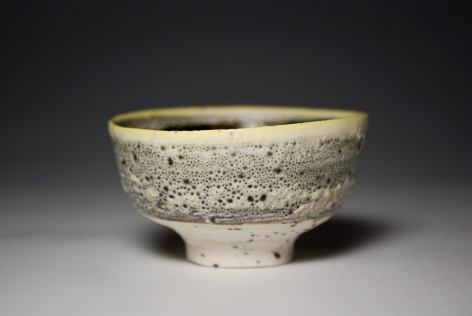 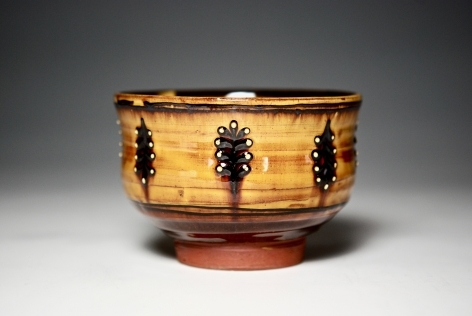 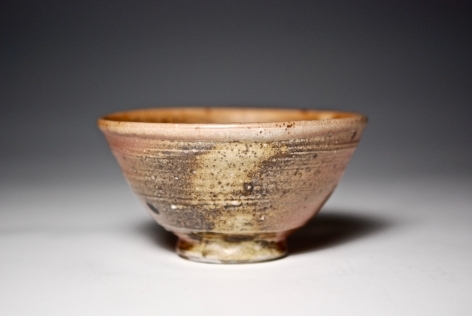 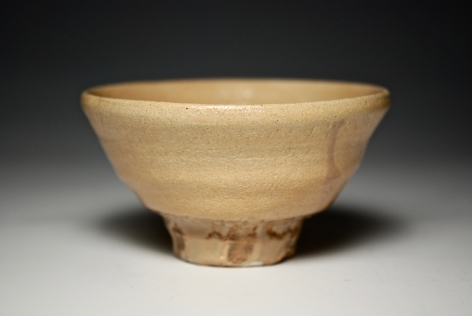 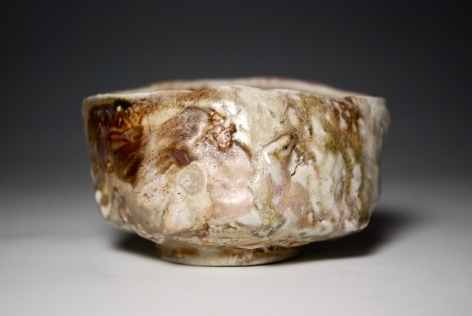 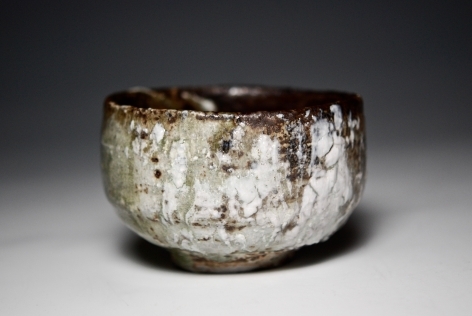 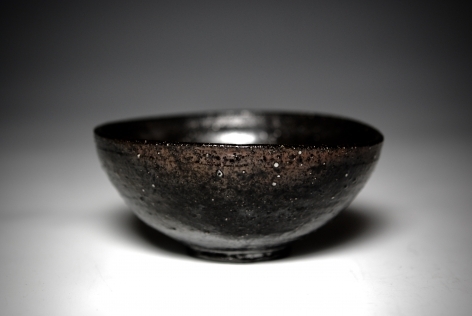 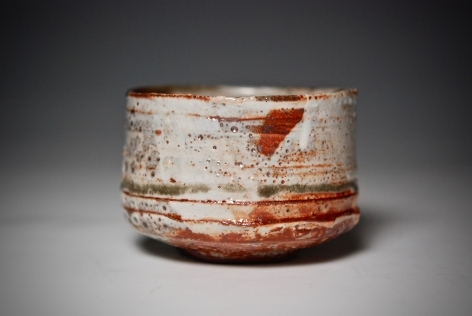 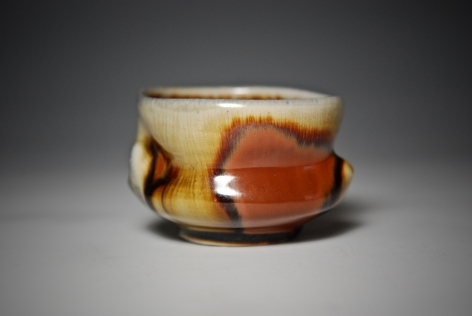 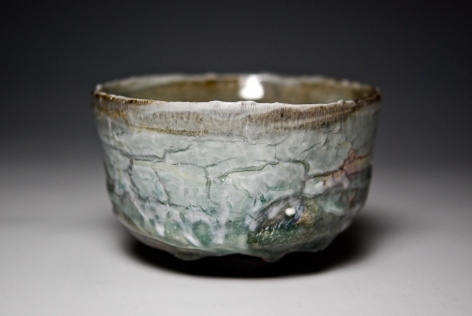 Kick wheel thrown chawan using local Devon clays, and then wood fired for four days in a ground hog type tunnel kiln. 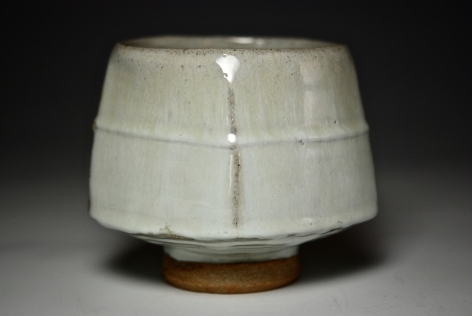 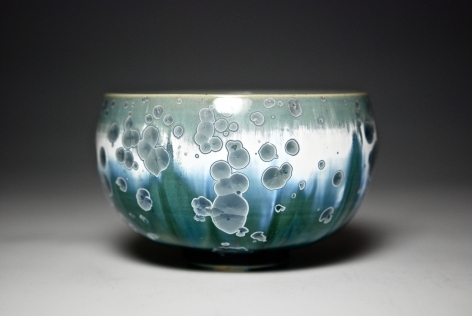 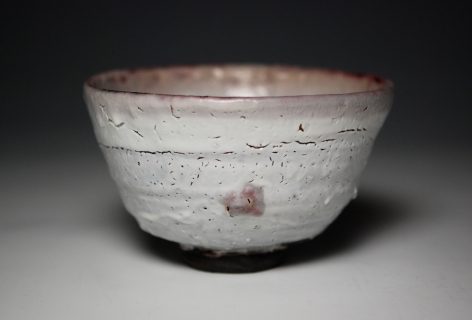 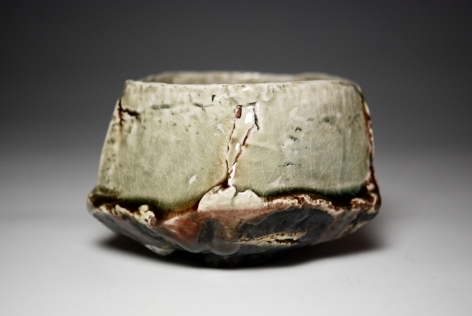 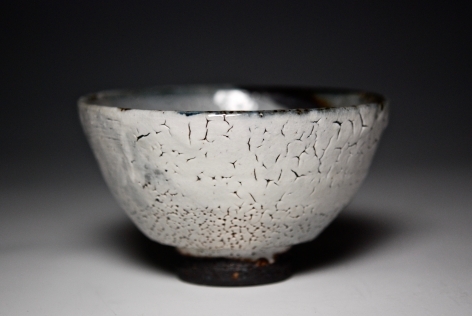 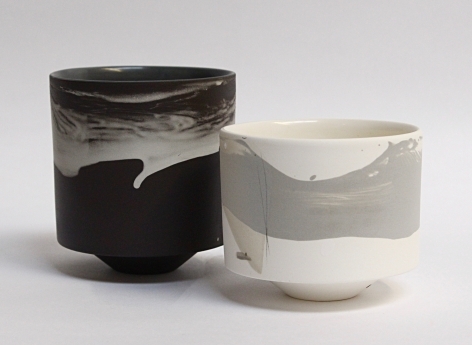 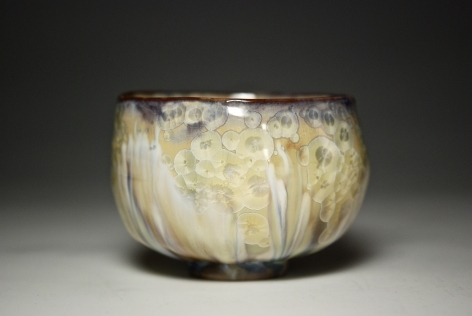 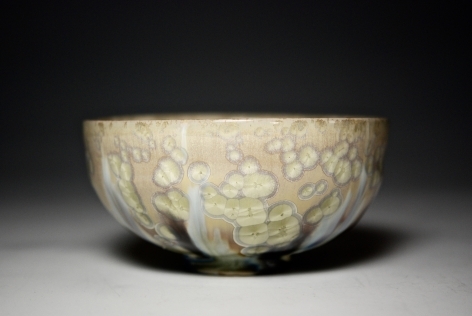 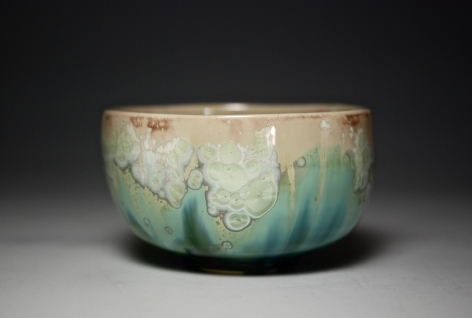 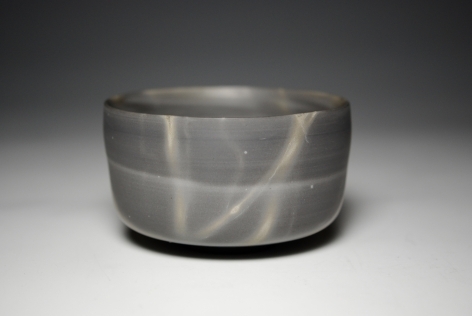 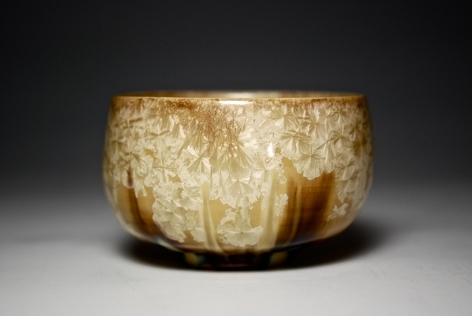 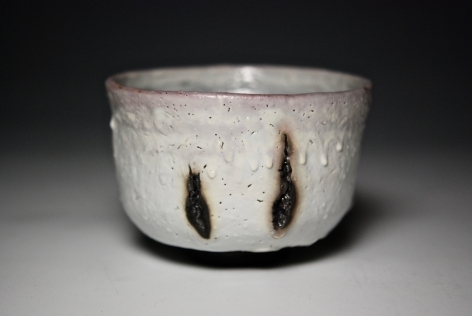 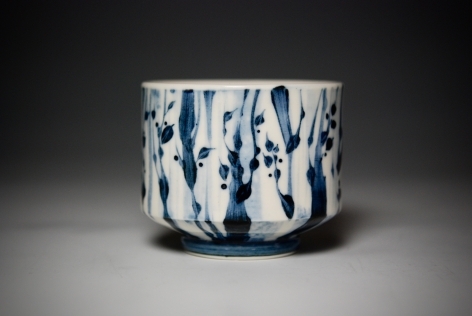 Shino Glazed Interior, unglazed exterior. 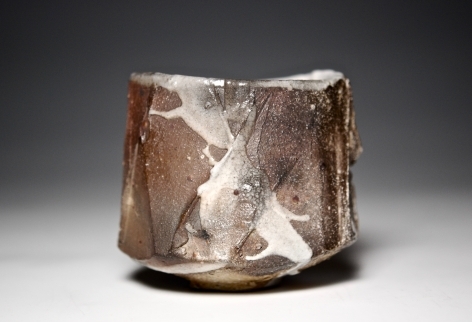 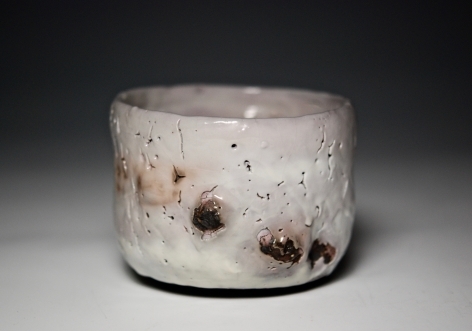 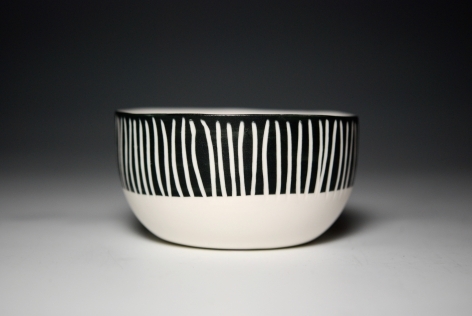 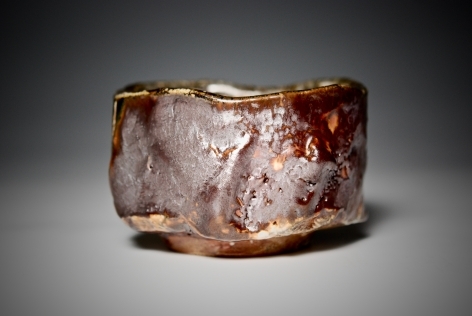 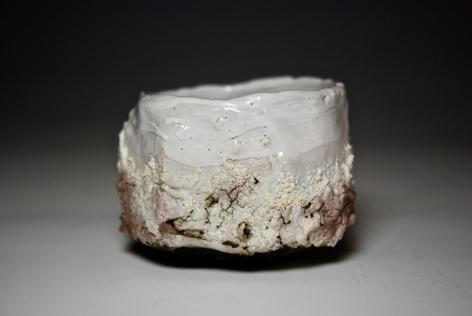 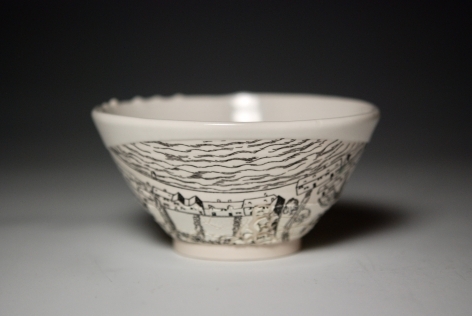 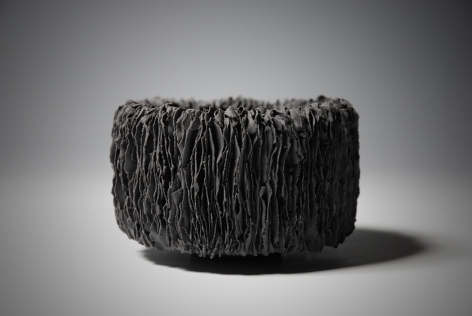 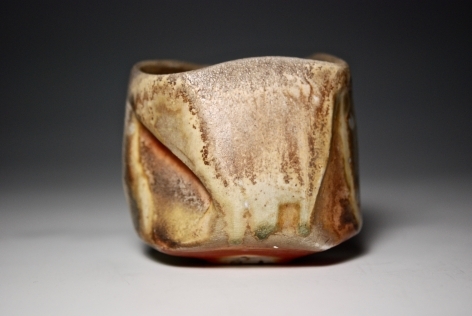 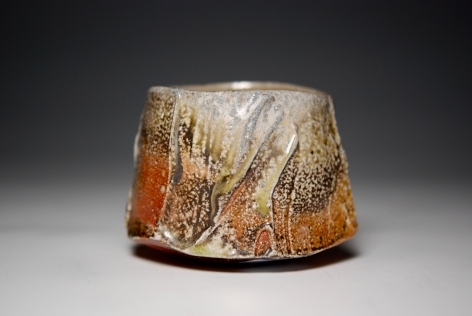 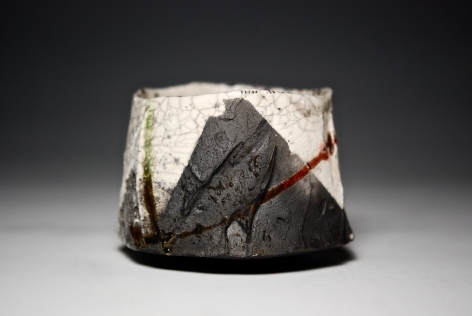 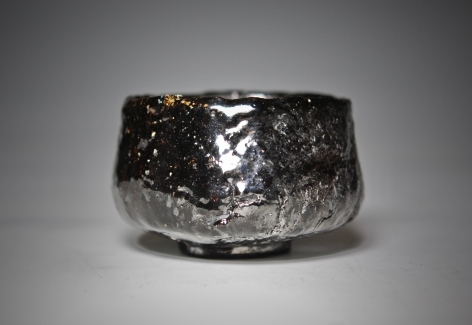 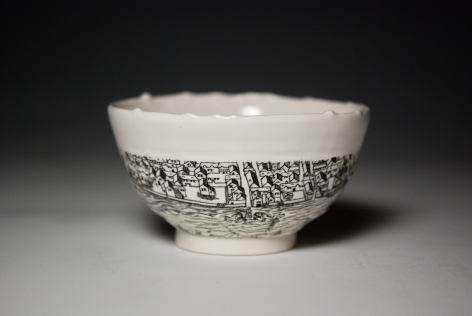 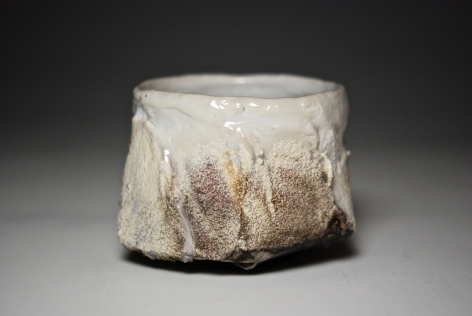 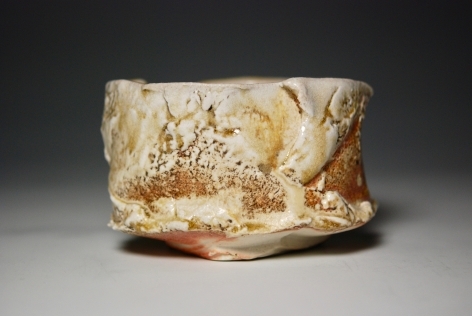 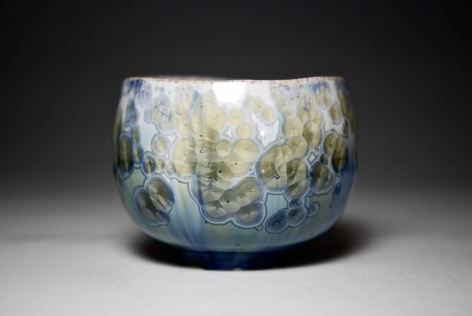 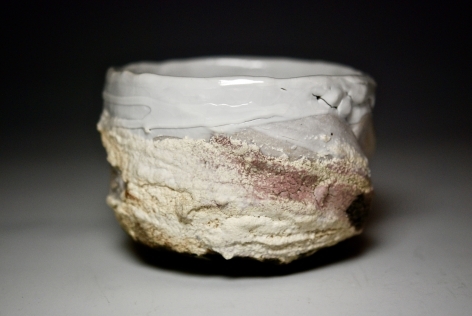 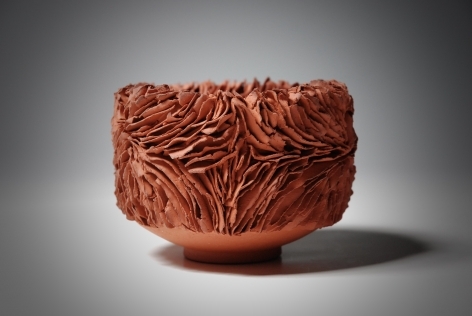 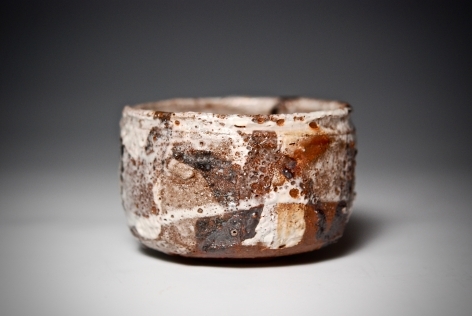 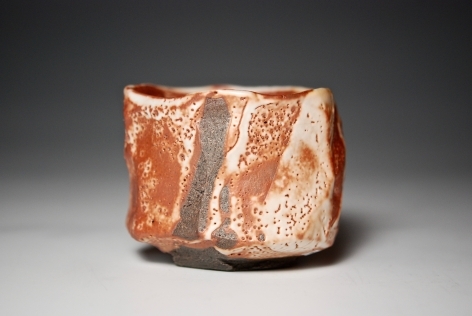 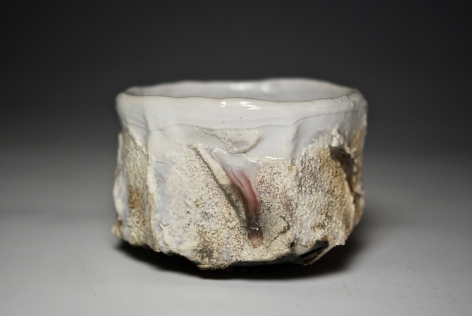 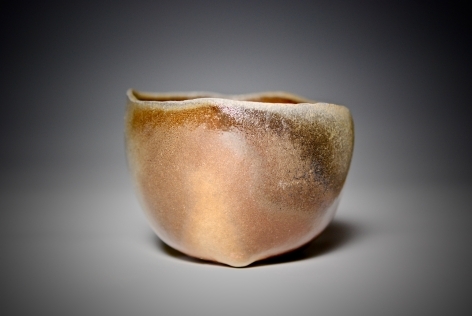 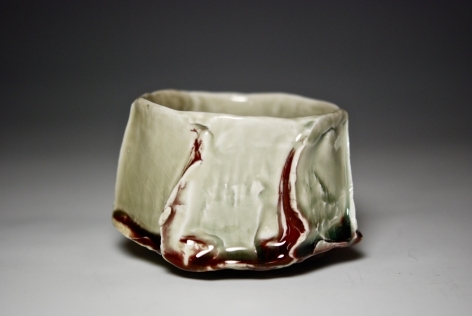 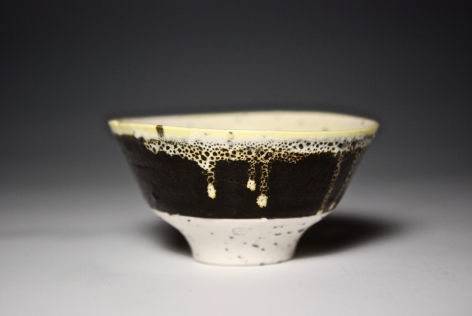 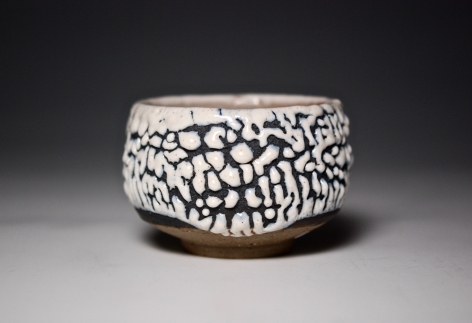 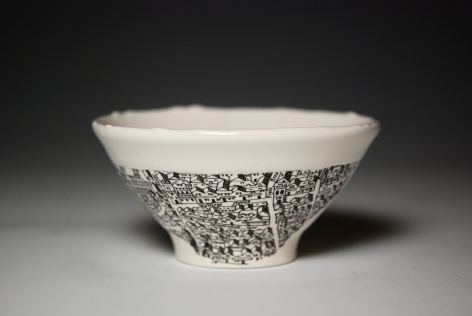 Thrown Grolleg Porcelain, manipulated by hand and fired in an Anagram Kiln.